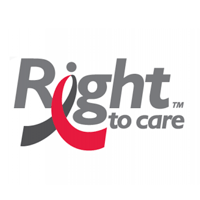 Right to Care is a non-profit organisation that supports and delivers prevention, care and treatment services for HIV and associated diseases. Right to Care provides technical assistance to all levels of the South African Department of Health. It also supports clinical programmes through development of best practices, research, training, mentoring, participation in technical committees, provision of facilities and equipment, and secondment of staff.